According to the results of the American Bar Association’s latest Legal Technology Survey Report, six out of 10 lawyers use an iPhone. Since the majority of lawyers use iPhones and it’s been a while since I wrote about iPhone apps for lawyers, I figured it was high time I shared some of my latest discoveries. So, without further ado, here are 9 iPhone apps developed for lawyers that you may find to be useful in your law practice. Lawstack is a free app that provides access to, among others, the U.S. Constitution, the Federal Rules of Civil and Criminal Procedure, the Federal Rules of Evidence. Certain state codes, including New York, are also available for purchase. With SignNow, a free app, documents can be signed anywhere by simply uploading a PDF or Word doc via email, Dropbox, or by using your iPhone’s camera. This is a really useful app for busy lawyers who often need to obtain signatures from clients and others while on the go. Livescribe Smartpen is a digital pen that captures your handwriting and sends it directly to your phone. You can then save the searchable document as a PDF and export it to other programs. The various pens start at $129.95, so they’re not cheap, but may just be worth the cost, depending on your needs. 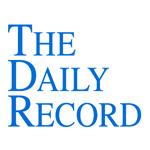 Mobile Transcript is a free app that enables paperless depositions by storing digital transcripts received from a court reporter in the cloud, which can be accessed from any compatible device. You can then annotate, mark up, and share the transcripts with others. There is also a paid version of the app available for $29 per month, which allows you to upload your own transcripts into the app in either Amicus or Summation format. Dictate+Connect is an app that turns your iPhone into a dictaphone. Once you’ve recorded dictation, you can rewind and overwrite your dictation in the app and then send the sound file to your assistant as a verbal memo. You can also use the app to record meetings. There is a free trial version of the app available but in order to record more than 30-second sound clips you’ll need to purchase the full-fledged version of the app for $16.99. The Courtroom Objections iPhone app is your go-to objections guide. This app assists you with making and responding to objections in court by providing a useful list of common objections and responses. It’s not free, but at $2.99, it may just be worth the small price you’ll have to pay. Courtroom Evidence is a mobile reference guide for courtroom evidentiary foundations. It assists you in laying the proper foundation for entering common types of information into evidence. The app is available in the App Store for $1.99. DocketLaw is a free app that calculates event dates and deadlines based on the Federal Rules of Civil Procedure. Also available for an additional monthly fee are subscriptions to rules-based calendars for specific state and federal courts. For example, you can access all New York court data for $49.95 per month. Using Timeline 3D you can create a list of events and then add any relevant media. Once you have done so, you can present your visual timeline using a full screen and with a 3D perspective. You also have the option to export your timeline into PowerPoint and Keynote format. This app costs $9.99. Your iPhone can be a great tool for your law practice; you just have to know how to use it! So what are you waiting for? Download a few of these apps and start practicing law on the go. I started writing about cloud and mobile computing for lawyers nearly a decade ago, urging lawyers to learn about and consider incorporating these technologies into their practices from the very start. That’s because I understood the potential of cloud and mobile computing and the tremendous benefits that each offered attorneys. Mobile computing was adopted fairly quickly, but cloud computing was a different story. At first, lawyers were skeptical and hesitated to use cloud computing tools in their law firms. But over time, as ethics committees across the country gave cloud computing their blessing, lawyers increasingly adopted cloud computing software into their law firm’s computing arsenal, as the latest statistics from the 2015 American Bar Association Legal Technology Survey Report show. First let’s look at mobile technology. The survey results show that the vast majority of lawyers now use laptops on a daily basis, with 76% of lawyers reporting that they use laptops as their primary computer. Interestingly, solo attorneys were the most likely to personally use laptops for law-related tasks at 82%, followed by lawyers from firms of 100-499, at 76%. Most lawyers also use smartphones now, with 79% reporting that they personally used smartphones for law-related tasks in 2015. Lawyers are similarly incorporating tablets into their practices. 42% report using tablets in their practices in 2015, with 78% preferring iPads, followed by at Windows Surface at 12% and Samsung Galaxy at 11%. Then, there’s cloud computing. Although the rate of adoption has not been quite as fast as it’s been with mobile technology, adoption by lawyers continues to increase. The majority of lawyers now use cloud computing for online storage, with over 59% reporting that they personally used online storage for law-related tasks in 2015, up from 45% in 2012. 62% of those lawyers are from firms of 2-9 attorneys (up from 40% in 2012), 61% are solo practitioners (up from 43% in 2012), 56% are from firms of 10-49 attorneys (up from 44% in 2012), and 50% are from firms of 100 or more attorneys (up from 52% in 2012). 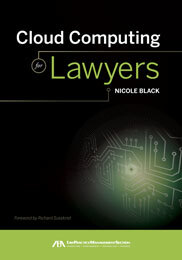 Lawyers report that they use cloud computing for a variety of reasons. 71% report that they use it for the easy browser access from any location. 60% use it for the 24/7 access to their law firm’s data. 57% appreciate the low cost and predictable monthly expense. For 48%, the robust data backup and recover is important. 47% use it because it eliminates IT and software management requirements. And 46% use it because it’s quick and easy to get up and running in their firms. In other words, cloud computing is more convenient and affordable than the more traditional premise-based software systems that lawyers are accustomed to, which accounts for the uptick in use by lawyers. So, like mobile tools, the use of cloud computing is on the rise in the legal profession, as lawyers become more familiar with the technology and the many benefits it offers. Lawyers adoption of mobile and cloud technology into their practices is a promising development and one that has been a long time coming. Legal clients’ expectations have changed with the times and as lawyers adapt 21st century technologies into their practices, they are better able to respond to the needs of their clients and provide more effective and responsive representation.